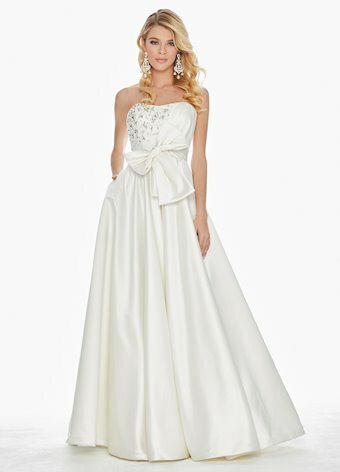 It's all about the bow on this pearl and crystal accented ball gown. The sweetheart bustier is adorned with asymmetrical pleating and pearl and crystal beading. The waist is accentuated with a satin belt complete with an oversized bow.